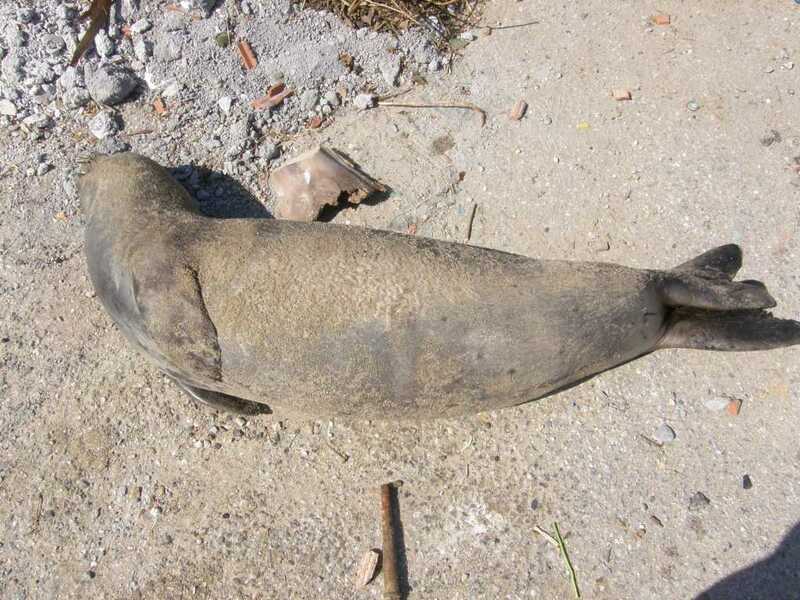 Amorgos Island Magazine | Young Mediterranean Monk Seal put to Death!! Amorgos Island Magazine > About Amorgos > Environment > Young Mediterranean Monk Seal put to Death!! Amorgos – June 15th, 2011: The young friendly male Monk Seal appearing in the port of Aegiali at the mid of April quickly won the hearts of the people and became a “mascot” of tourists and also the magazine. On last Friday (June 10th) Dimitris Synodinos (Amorgos Diving Center) alerted that the animal was found dead on the beach. It was a young male seal, 6-7 months old, in good nutritional status. The animal had injuries in the back by a sharp object, which crossed the side to reach the thoracic cavity, thus injuring the lung. Histological analysis will give us information on whether the animal eventually died from suffocation or internal bleeding. In any case, death resulted from the trauma deliberately brought to the animal, from close distance. The MOm stresses in a statement that the Mediterranean monk seal Monachus Monachus is currently the most endangered marine mammal in Europe and is classified as a species facing the danger of extinction. As the species is protected by law, the NGO reserves the right to use all legitimate and legal means against the culprit. We are quite shocked by the incidence and hope that in the future attacs against seals will never happen again on Amorgos. Help to protect Mediterranean Monk Seals! Longing for Amorgos – where is the donkey?